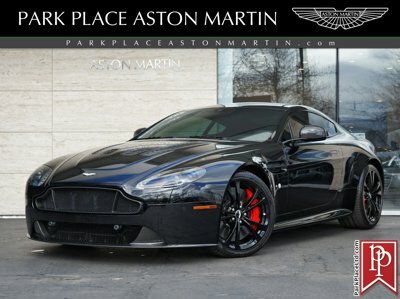 Find a great sale price on this 2012 Audi R8 at Park Place Aston Martin in Bellevue, WA. This 2012 Audi R8 is located at our dealership in Bellevue. If you're looking for a great price on this 2012 Audi R8 or just looking to get an auto loan for the vehicle you want... you've come to the right place! Park Place Aston Martin. 1-owner 2012 Audi R8 4.2. Finished in optional Daytona Grey Pearl over black, this is a very attractive 6-speed manual R8 4.2 that has had just one owner since being sold new here in the Seattle area. This R8 shows in incredible condition throughout and has always been garage kept and meticulously cared for. It originally sold for $136,350 and features nearly $20,000 in factory options. On top of an extensive list of standard features, this R8 features some of the most desirable options available, including the Convenience and Nav Plus packages, full LED head lamps, premium Bang & Olufsen audio system and Carbon Sigma side blades. The two option packages also add voice-controlled GPS navigation, iPod/USB interface, auto-dimming mirrors, additional cabin storage, front and rear parking sensors, a rear-view camera and hill hold assist. Standard features include heated leather sport seats, race-inspired flat-bottom sport steering wheel, Bluetooth telephone integration, satellite radio, auto climate control and LED daytime running lamps, tail lamps and turning signals. Drivers who prefer to drive to make the gear selection traditionally will be pleased to find this example with a proper 6-speed manual transmission. Underneath the rear hatch, the 430hp V8 engine is dressed with optional Carbon Sigma engine bay trim. This R8 rides on a sport-tuned suspension with adaptive damping, and performance brakes provide stopping power behind optional 19" titanium-finish wheels. Owner's books and remote key are included with this R8, as well as a clean 1-owner CarFax history report and pre-sale inspection performed at the Park Place LTD Service Center. Attractive color combination, 6-speed manual gearbox and incredible options -- this R8 has it all.